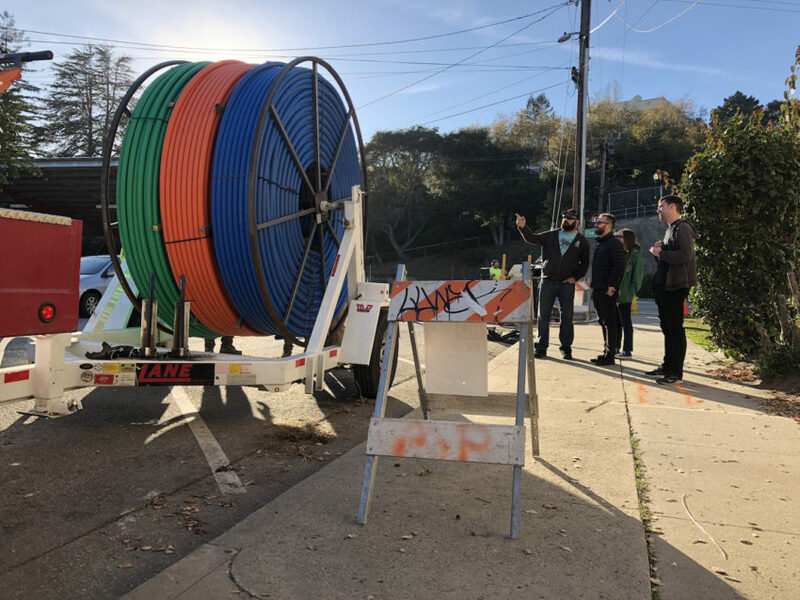 It’s hard to believe, but it’s already been a couple of weeks since we began construction on the Santa Cruz Fiber project. Construction has been moving along at a fast clip, and we wanted to give you a quick update--with photos--to give you all an idea of how things are going. A few of our Cruzio employees tour the construction site as we lay down conduit. 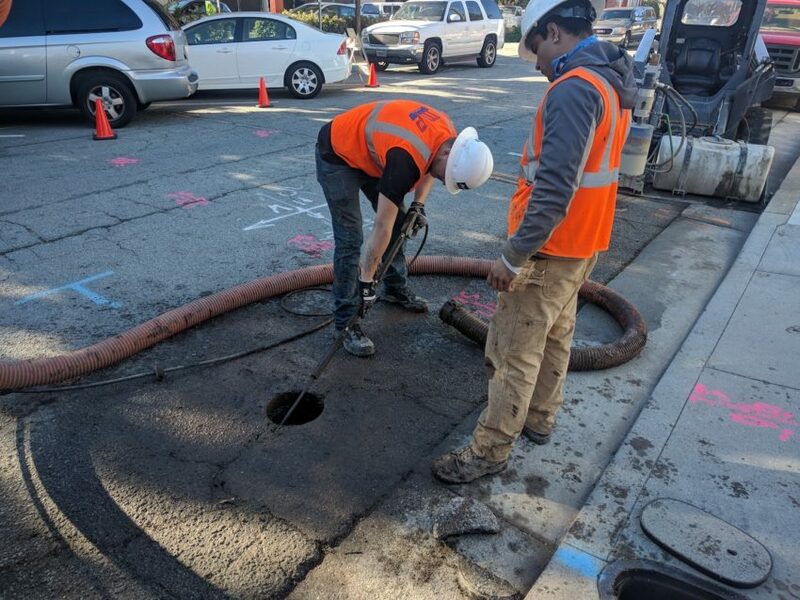 Crews push fiber into the ground thorough a small pothole. When we began, you might have noticed our construction crews moving down Locust Street. 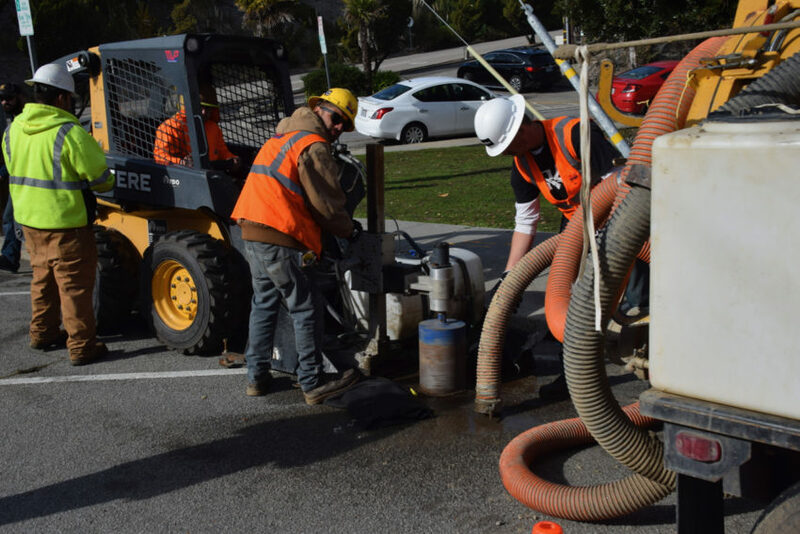 They’re using a technique called directional boring, which disturbs the street as little as possible. Creating a small hole, the borer plunges beneath the ground, tunneling hundreds or even thousands of feet before it needs to resurface. So far, we’ve done a lot of work along much of Locust, as well as parts of Church St. and Walnut Ave. as well. 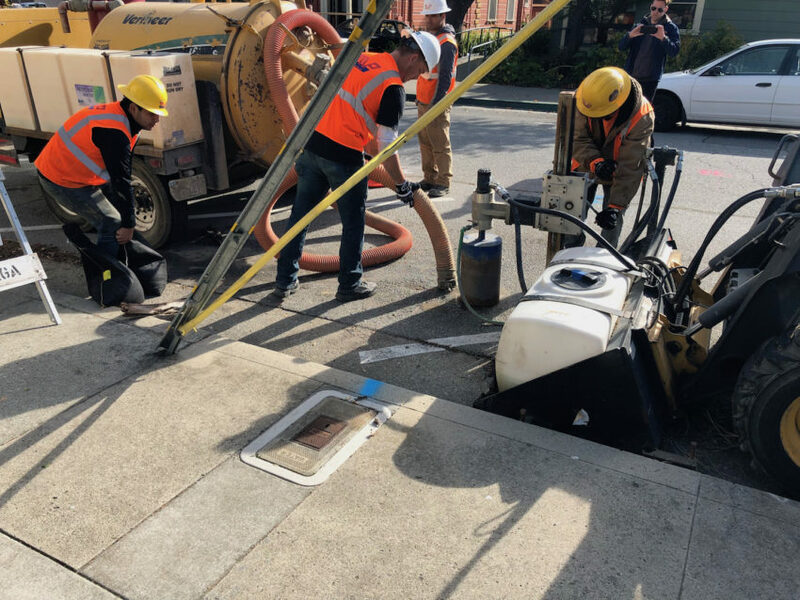 Another important milestone we’ve hit is placing our first Santa Cruz Fiber box in the sidewalk! 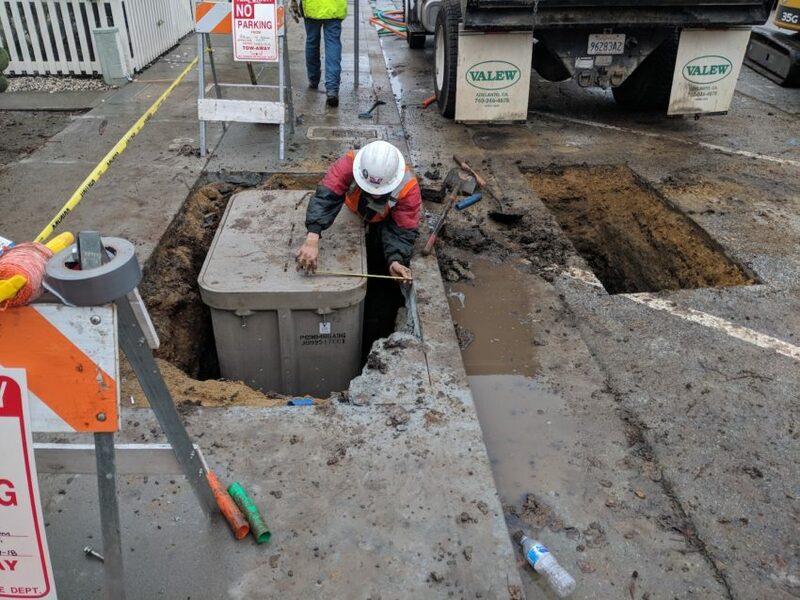 Eventually, our cable will run through boxes like these throughout the neighborhood, and, if our community supports it, eventually the whole city. In short, the construction is moving quickly, and we’re very happy with the progress we’ve made so far. And now that you’ve seen how far along we’re getting, make sure that you’re signed up for Fiber if you live in the downtown area! It’ll be completed and ready to bring you gigabit speeds sooner than you think.